Republican Arizona Sen. Jeff Flake denounced a new campaign ad from President Donald Trump ahead of next week’s midterm elections. The video featured illegal immigrant Luis Bracamontes — who laughed in court about killing two police officers in 2014 — and blamed Democrats for letting him into the country. Trump tweeted out the ad Wednesday, which spliced clips of Bracamontes with footage from the migrant caravan. “This is a sickening ad. 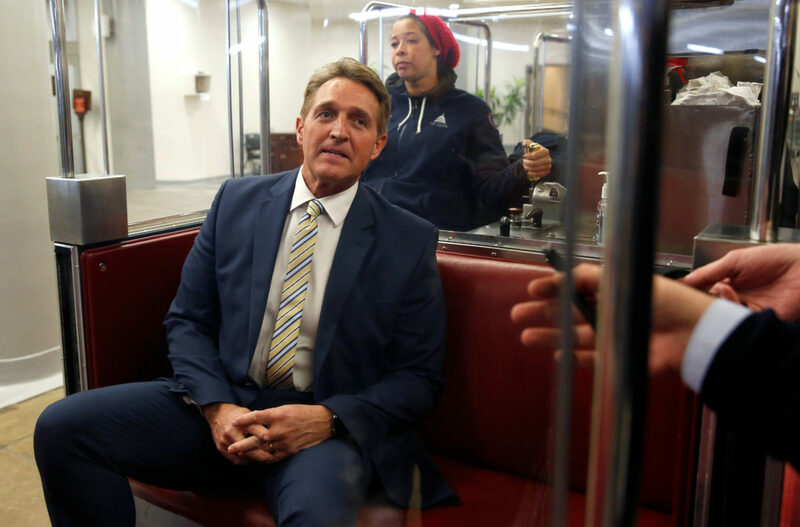 Republicans everywhere should denounce it,” Flake wrote on Twitter Thursday. Flake previously blamed his frigid relationship with the president for his decision not to run for re-election.